Europe Day is a common term for several annual celebrations of unity and peace in Europe held in May. For example, Ukraine has been celebrating Europe Day on the third Saturday in May since 2003. Europe Day in Ukraine was established by President Leonid Kuchma in order to strengthen the ties between Ukraine and the European Union. Although it is not a public holiday, it does have the status of an official observance. The designated date is the third Saturday in May, but celebrations usually last for an entire weekend. Traditionally, the opening ceremony of Europe Day is held in Kyiv, the national capital of Ukraine. On Khreschatyk street, the so-called European Village is organized. The Village's pavilions represent Ukraine, EU member states, the European Commission and various international organizations. Festivities also include parades, concerts, receptions, debates, presentations and other events. 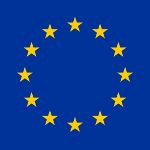 Europe Day is widely celebrated throughout the country. Local activities and events are organized by local authorities, non-government and civil society organizations, educational institutions, activists. Media campaigns help promote the holiday, contributing to the growth of its popularity.